"It is with true love as it is with ghosts; Everyone talks about it, but few have seen it." 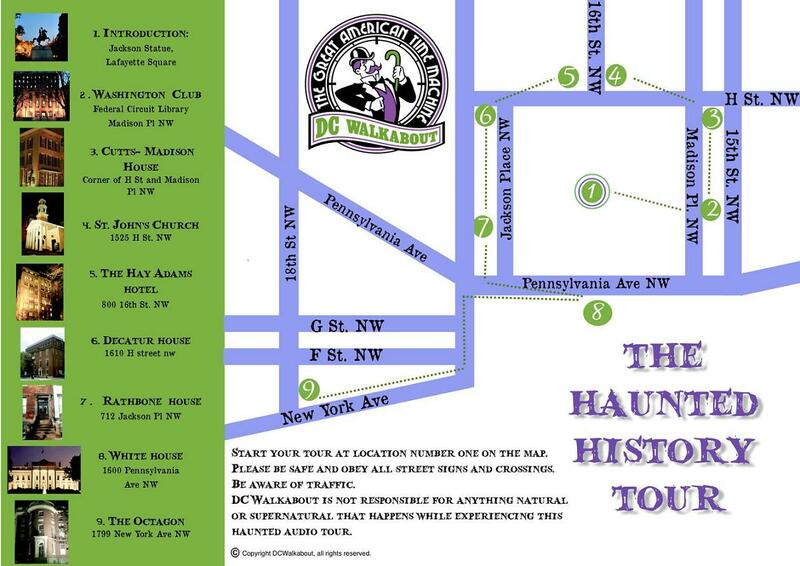 Caution: This Washington DC Ghost Tour has been known to be frightening! Ghosts are the real time travelers. Especially here in Washington, DC: The Capital City of Conflict and Conspiracy. As hard as politicians fight to get to Washington, is it surprising that some are reluctant to leave? By day, the 7-acre Lafayette Square clamors with government workers and strolling tourists. By night, the visage shifts − spookiness surrounds. The backdrop to the White House, this is the hubbub of the haunted. From ghosts walking through walls to past presidents knocking on doors to the unexplainable, make sure and stay close as we lead you to the most paranormally charged spots on this most haunted of DC ghost tours.